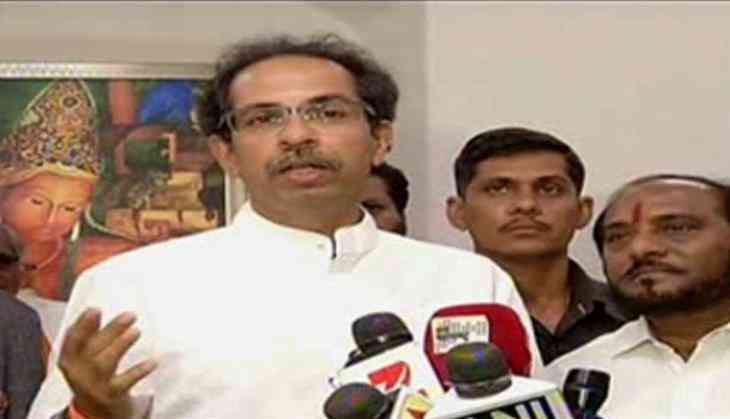 Shiv Sena chief Uddhav Thackeray has asserted that if farmers' loans are not written off completely by next month, his party would take a "big step" against the Bharatiya Janata Party-led (BJP) Government in Maharashtra. Talking to the media, Thackeray said, "I have give them time to implement loan waiver till July. If they are unable to do it, a big step will be taken." Asserting that their demand is very clear, Thackeray emphasised that "we want farmers' loans to be written off completely." After meeting farmers from across the state, Thackeray thanked farmers, while stating that they had "heard of a green revolution," but the farmers of Maharashtra have shown that those "who can bring about a green revolution can also cause a revolution." Earlier on 11 June, the Maharashtra Government announced complete loan waiver to farmers. The government will form a committee to decide criteria to waive off loans. Shiv Sena spokesperson Manisha Kayande said the decision was the need of the hour. "Uddhav Thackeray promised to stand by the farmers, and he did so till the end. This is a big victory for them. I would like to appreciate their efforts. I would also like to congratulate our chief minister Devendra Fadnavis for implementing this," Kayande told ANI. On 1 June, the farmers in Maharashtra went on strike for the first time ever. Their agitation took a violent turn as angry farmers' spilt milk and threw vegetables on the road. Subsequently, the strike expanded into a bandh call, where agitators threatened to stop supply to urban markets. The decision comes at a time when Madhya Pradesh's Mandsaur district has been boiling over a farmers' agitation to waive off their loans.